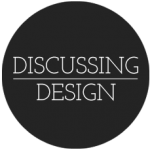 Welcome to Discussing Design | Discussing Design - Paying attention to the details of design critique. Over the past couple of years Adam Connor and I have been talking about critique and the conversations we have surrounding design. Before to long these conversations turned into a conference presentation at the 2011 IA Summit and other conferences to follow. The more we dove into the topic, talked about it on podcasts, and talked with others in our field we started seeing a need for a dedicated place that we could share our experiences and ideas about critique and the various sub-topics and questions that arise as we dig into critique and how to improve it in various contexts. So we have put our heads together and come up with this blog where we will be sharing content about critique as well as resources that we find on the topic that can help us all improve the conversations we are having surrounding design. We are still adding some finishing touch and working on any needed adjustments if you notice something feel free to let us know. So thanks for visiting and feel free to drop us a line with any questions, comments, etc. If you can’t stand the heat, stay out of the design/thinking business.